As we begin a new Lodge year in Elkdom all of us, every Officer, Member, and Lodge must put our full effort into curbing the decline of membership in our Order. If we each put our mind to it this challenge, we have been faced with for the past thirty years can be reversed. Remember the challenge is not only getting new members but also keeping the ones, we have and reinstating ones we may have lost previously. I attached a chart labeled "RACE TO THE BOTTOM." This chart reflects the current number of delinquents in CLMS. My challenge to each lodge is to get to bottom of this list with the least number of delinquents as fast as you can. 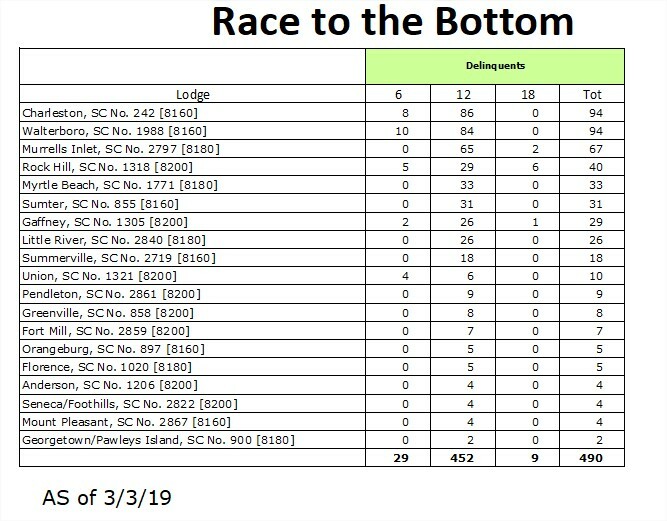 I will ask that this first list be posted on the Web site and I will update the chart on the Web as new information becomes available, at least every two weeks, so you can see how your lodge is doing. How fast can your Lodge get there? 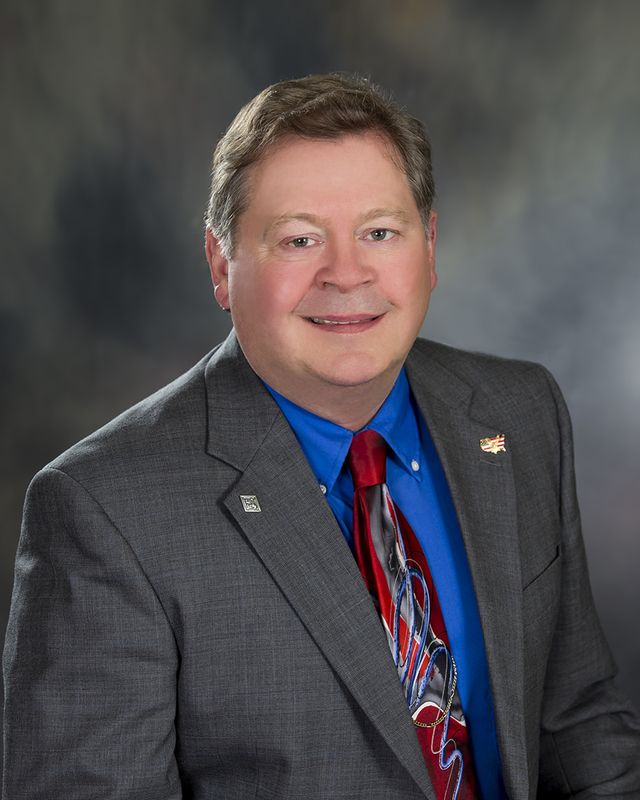 As a reminder, please sumbit your nominations for Elks of The Year and ER of The Year to Kenny Martin no later than July 1st. The nominations are for deserving individuals for the preceeding 2018-19 Elk Year. Nomination information can be found on the Resources tab. 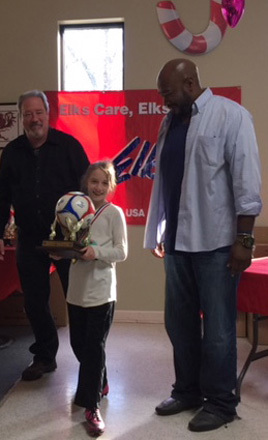 Being inducted into the Elks Hall of Fame is a great honor. The link below gives you information on the steps to submitting a nomination for the Hall of Fame. Below is a Power Point presentation - Highlights of 2019-20 Grants. Check it out and get updated on the changes for the new grant year. Several of us went on the 2019 Elks Cruise along with 218 Elks from around the country. We had a ball! The Lodge with the most Cruisers can win up to $10,000 for charity. Great fund raiser. Click on flyer below for more details. NEW AUDITING AND ACCOUNTING MANUAL ONLINE AT ELKS.ORG - 2019-20 Requirements! As a reminder all lodges must use the Grand Lodge Chart of Accounts as posted in this manual starting with the 2019-2020 lodge year. Additional account numbers may be added as sub numbers to the accounts listed, for example; 30100 is "Member Dues." You could add 30100-01 as "Regular Member Dues," 30100-02 as "Life Member Dues," and 30100-03 as "Associate Member Dues." The only restriction on sub-accounts is that the first five (5) digits must be one of the standard set of accounts. If you are not already using the Grand Lodge Chart of Accounts you should begin your conversion process now in order to be ready for April one. All reports, budgets, P&Ls must use the Chart of Accounts as listed in the new revision of the Auditing & Accounting Manual. Activities include a Golf Tournament, Dinner with Entertainment, local attractions and more. Links to Registration, Hotel Information and Schedule available below. The Southeast regional contest was held in Valdosta, GA on Saturday, March 16th, at the Valdosta State University. 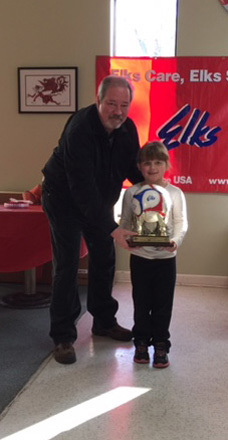 Riley Minton of the Florence Lodge won the 8-9 year old boys division and will compete in Chicago, IL in April. Visit the photo album for Reginal Hoop Shoot pictures. Officer Training was held in the Sumter Lodge on Saturday, March 9th. Below are presentations and resources from the training. 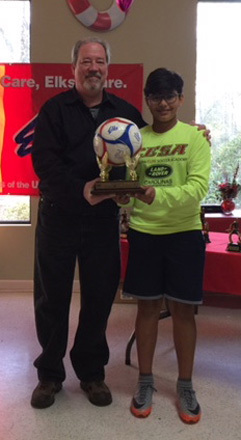 The state contest was held in Columbia, SC on Saturday, Feb 24, at the Jewish Community Center. We have 6 State Winners who will compete in the Regional contest in Valdosta, GA on March 16th. 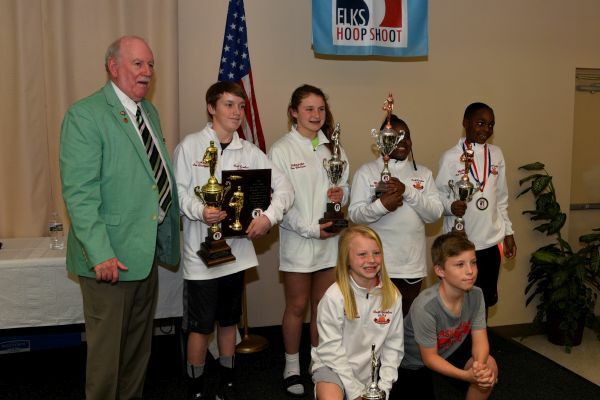 Visit the photo album for Hoop Shoot pictures. SC dominated the competition at regionals bringing home 5 of 10 first place, 4 of 10 second place and 1 third place. 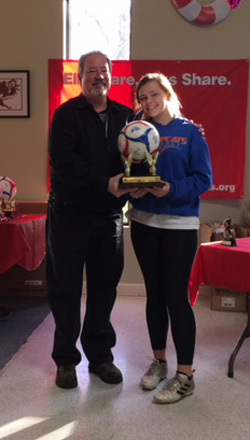 Visit the photo album for Soccer Shoot pictures. 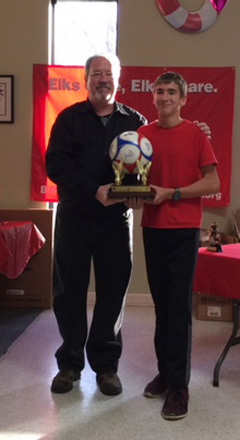 2018-19 SC Elks Soccer Shoot Regional Winners. 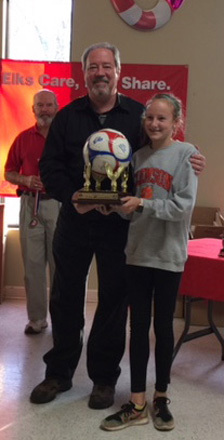 Georgia had 2- 1st place, 1- 2nd place and 4- 3rd place winners. The 155th Grand Lodge Session will be held in St. Louis MO. Our State is staying at the Hyatt Regency St. Louis at the Arch located at 315 Chestnut Street. Please read the Convention Notice below for more information. The room reservation form is also available. 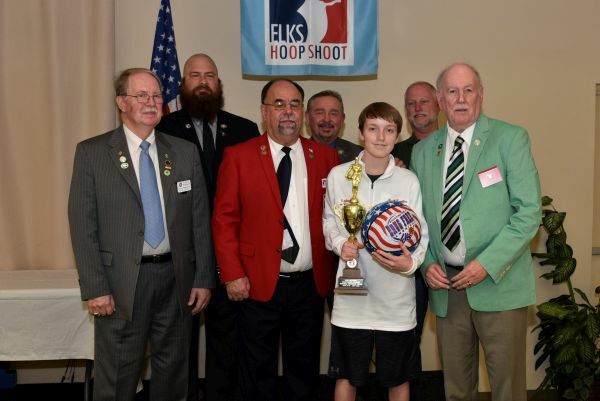 Each lodge should have received the Hoop Shoot Package in August. 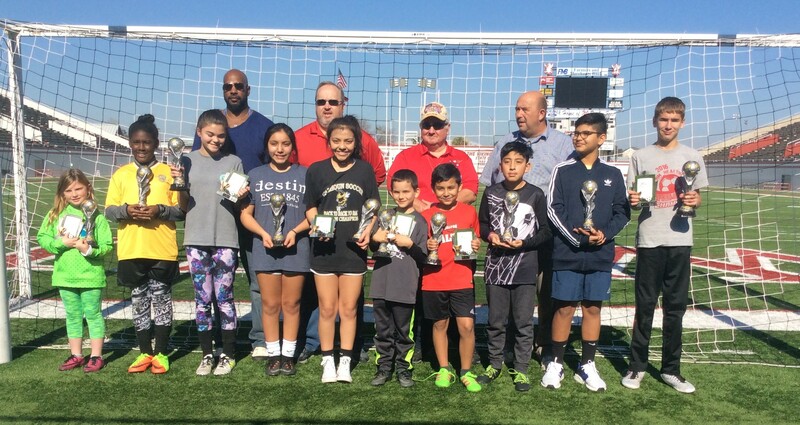 Local Contests should be completed no later than the weekend of January 23-27, 2019. Please see the schedule below for the 2019 SC Elks Hoop Shoot. Please see the schedule below for the 2018-19 SC Elks Soccer Shoot. Plan your Lodge shoots accordingly. 2018-19 SC Elks Soccer State Winners. 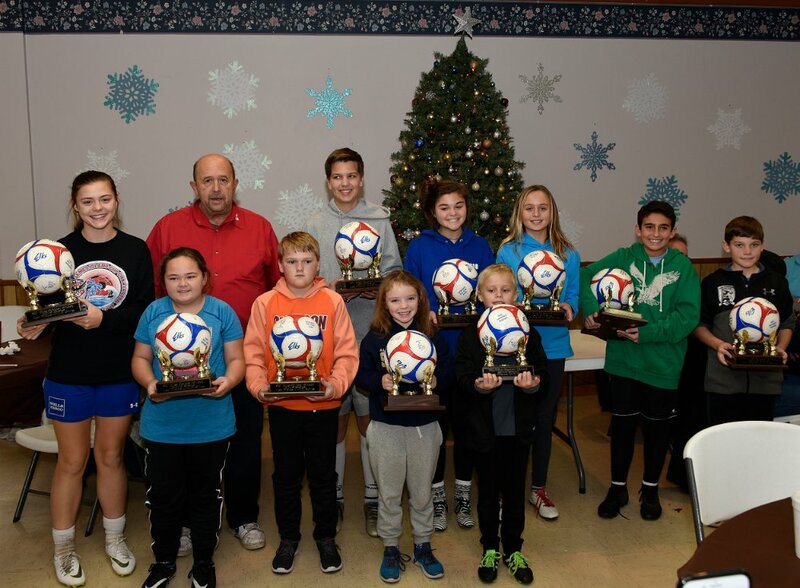 These are the kids that will be representing South Carolina Elks in the Regional Soccer Shoot in Umatilla FL. 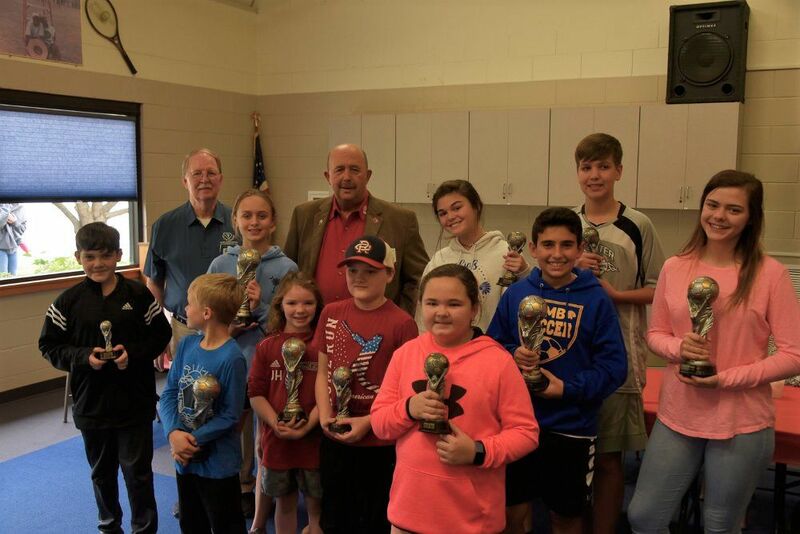 Back row from L to R:U16-G Katie Mossell-Sumter, Tim Anderson-SCEA State Soccer Chair, U16-B Dylan Palumbo-Sumter, U14-G Peyton Long-Little River, U12G Ansley Garnsey-Walterboro, U14B Alex Testa-N. Myrtle Beach, and U10-B Dakota Walton-Walterboro. Front row from L to R: U10-G Paytlen Horne-Greenville, U12-B Will Parker-Greenville, U8-G Jayden Hollander-Greenville, U8-B Michael Garnsey-Walterboro. It is clear that our neighbors in North Carolina bore the brunt of Florence's furry. Please continue to keep them and others in your thoughts and prayers. We have also been contacted by other State Associations offering their prayers and support during this disaster and recovery. (Columbia, SC) - On Thursday, August 16th, 2018, South Carolina Elks Association presented $40,000 to the Alzheimer&apos;s Association South Carolina Chapter to help support family caregivers who are caring for someone with Alzheimer&apos;s disease or related dementia. 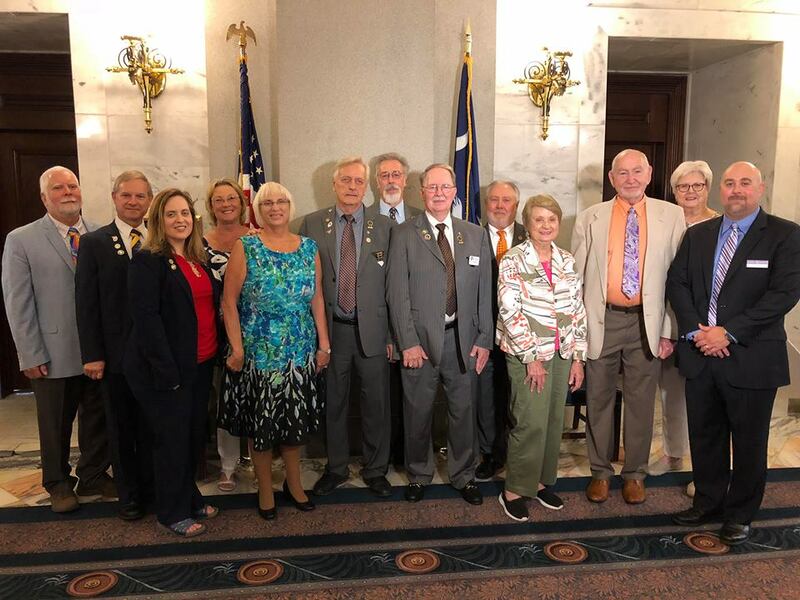 The SC Elks have supported the cause of Alzheimer&apos;s caregivers for the last twenty years, raising funds through their lodges across the state through their State Major Project. Left-Right: Fred Thompson SCEA President-Elect and Committee Member, Tim Bussey member Charleston Lodge, Jennie Marie Sirisky Member Charleston Lodge, Dianne Thompson Member Murrells Inlet Lodge, Jody Patterson Co-Chair SCEA State Major Project, Chuck Kormelink Past State President, Bill Borchert Chairman of The Board SCEA, Vince Whetsell SCEA President, Ed Bennett VP North East, Margie Sirisky Committee member, Robert Merck Chairman SCEA State Major Project, Linda Merck Member Seneca Elks Lodge, Sam Wiley VP South Carolina Alzheimers Association. 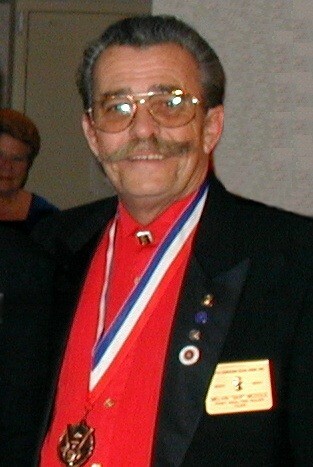 Michael T. Luhr was installed as the Grand Exalted Ruler of the Benevolent and Protective Order of Elks at the Grand Lodge Convention in San Antonio, TX in July, 2018. 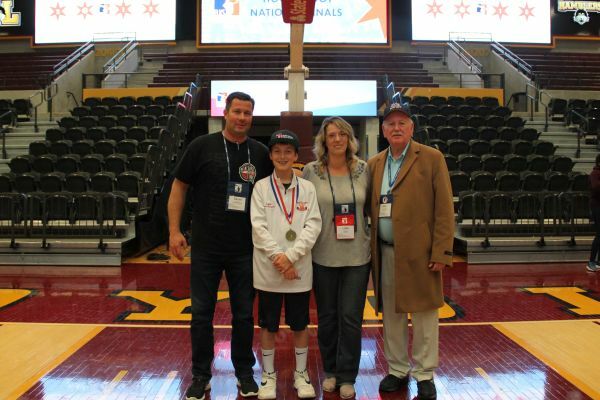 Luke won the National Hoop Shoot in Chicago on Saturday, April 21, 2018 for boys ages 12-13 with a score of 24 of 25 and 10 of 10 in double tie breakers. 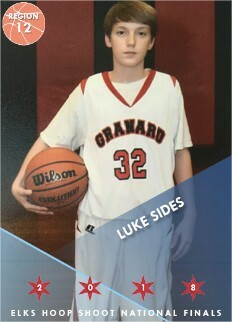 Contratulations Luke! 2018 SCEA WINTER CONVENTION - SURVEY RESULTS ARE IN! Thank you to all that participated in the survey! 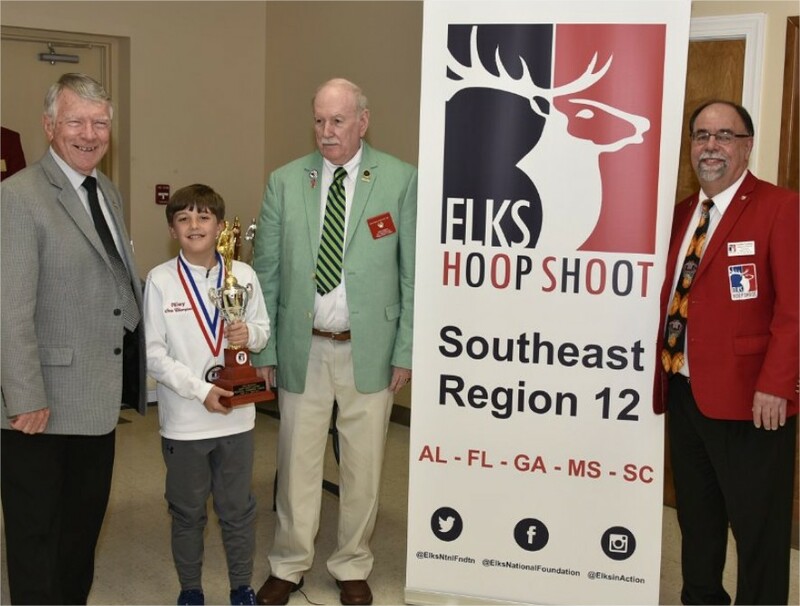 2018 Hoop Shoot Regional Contest - Held on March 17, 2018 in Valdosta, Ga.
Visit the 2018 Photo Album on the Resorces Page to view more photos of the event. Below are download links to PowerPoint Presentations from the training session along with the applications for the President&apos;s Volunteer and Youth Volunteer Service Awards. SC State Association Secretary, Past State President and so much more... passed away unexpectedly Sunday, February 11, 2018. Words cannot begin to express how much Skip, our dear friend and brother, will be missed. 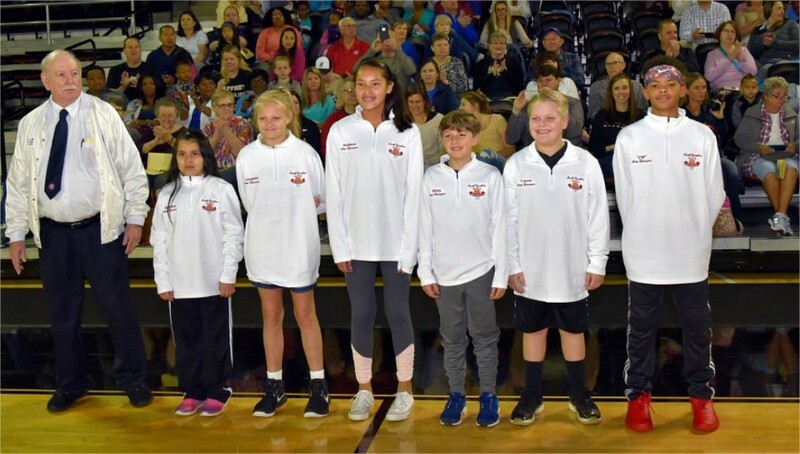 Front row L-R: U-8G Breanna Goss-GA, U-10G Raniyah Ellis-GA, U-12G Peyton Long-little River SC, U-14G Erika Guzman-GA, U-16G Ariana Guzman-GA, U-8B Jackson Sprehe-FL, U-10B Luis Perez-GA, U-12B Dennis Domingo-GA, U-14B Arav Patel-Greenville SC, U-16B Jarrett Davis-Greenville SC. Back row L-R: J'Tem Bush-SCEA West District Soccer Chairman, Junior Roberson-GA State Soccer Chairman, Ron Locke-FL State Soccer Chairman, Tim Anderson SCEA State Soccer Chairman.